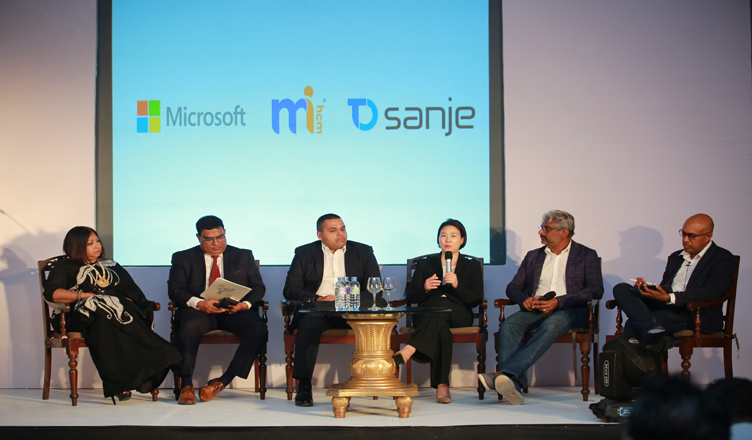 (COLOMBO, LANKAPUVATH) –Microsoft recently co-hosted a forum on “Deliver[ing] Digital Transformation to HR” alongside partners, MiHCM (formerly, Microimage HCM) and Tech One Sanje at the Hilton, Colombo where over 150 participants—composed of CXOs, HR professionals, and senior technology practitioners from roughly 100 companies—listened to global leaders who understand the impact of technology on the workforce and workplace. WasanthaWeerakoone, COO, Tech One Global and Mikhail Selvenayagam, Group Director, Senok Trade Combine. Members of the audience were then invited to a user experience demo where representatives of the Microsoft Partner Network (MPN) were harnessing every bit of newer technology to empower HR professionals.